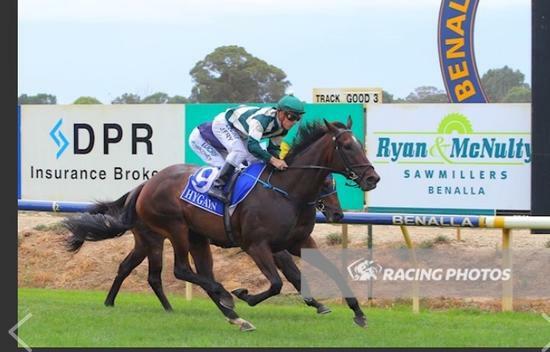 Don’t Take No was impressive winning the first race at Benalla today. The filly was second up over the 1200m, she was able to settled back in the field off a solid tempo and from the 600m jockey Jarrod Fry was able to get her into clear running to run down the leader who had put a good margain on her turning for home. It was great to get the win for owner/breeder David Ellis who Andrew really enjoys training for. She looks to be a filly who will only get better when she she gets to 1400m and beyond.